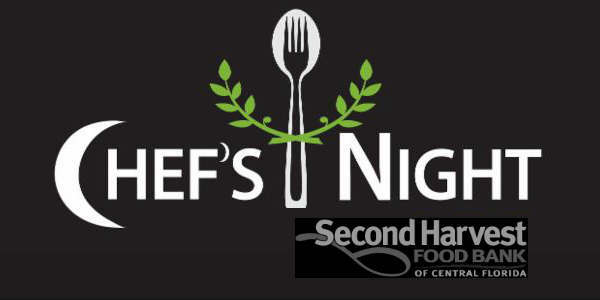 Chef Night returns to the Second Harvest Food Bank of Central Florida on October 26, with a meal prepared by The Capital Grille. Vice President and Corporate Executive Chef of The Capital Grille, Chef Michael Laduke has created a four course menu, with cocktails, for the evening. Passed Stoli Doli Tasters (Pineapple Infused Stoli Vodka), and a Capital Grille Classic Passed Basil Hayden Brown Derby Cocktail(Basil Hayden Bourbon and Housemade Grapefruit Soda with Honey Syrup). Tickets are $125 per person, and all proceeds from the evening will benefit the Darden Foundation Community Kitchen’s Culinary Training Program at Second Harvest Food Bank. The dinner will take place at Second Harvest Food Bank of Central Florida at 411 Mercy Drive in Orlando. Visit feedhopenow.org to purchase tickets, or for more information.